Richard Ashrowan, Alchemist. Still from the film (2010). Courtesy of the artist. Born 1966. Lives and works in the Scottish Borders. Moving image artist Richard Ashrowan works primarily with film and video, creating short single channel films, immersive video installations and live multi-projector performance experiments. His work is concerned with alchemical transformations in the moving image where the boundaries between the real and the unreal, the fixed and the volatile, the seen and the imagined, are dissolved. He is Creative Director of Alchemy Film and Moving Image Festival in Scotland. 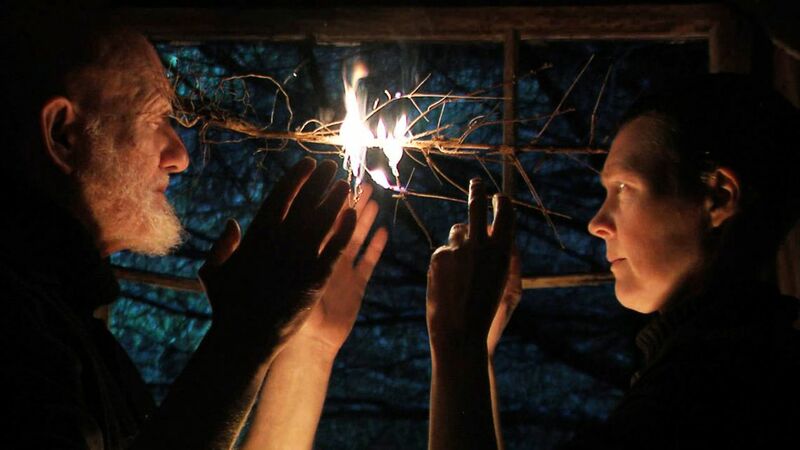 The VENICE INTERNATIONAL PERFORMANCE ART WEEK 2014 shows the installation of the experimental art film Alchemist, produced in 2010 in collaboration with performance artists Alastair MacLennan and Sandra Johnston. The film explores the transformative qualities of the landscape through performative alchemy, situated in a sense of the uncanny, the seen, the felt and the imagined.